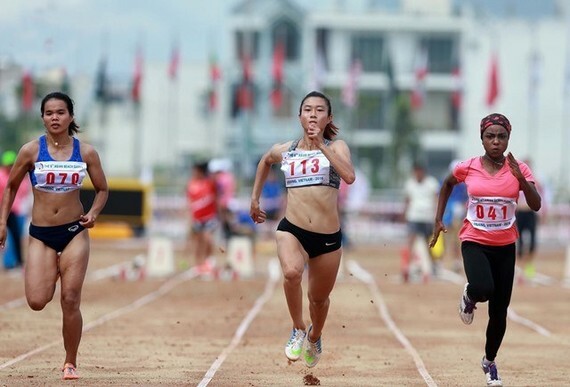 Le Tu Chinh won the first gold medal in the women’s 100m event with a time of 11.47sec, setting up her personal best. Her time was much better than that of Kayla Richardson of the Philippines (11.76sec) who won a gold medal at last Southeast Asian Games two years ago in Singapore. Chinh will continue with the 200m and 4x100m relay events in the next days. Chinh won a national title and a gold medal at the Asian Youth Athletics Championships two months ago. Later, Duong Van Thai championed in the men’s 1,500m event with a time of 3min 55.66sec. His teammate Do Quoc Luat was at third with 3:57.73. Vu Thi Ly triumphed in the women’s 1,500m, timing 4:40.93. 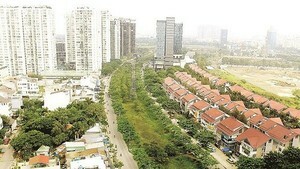 Vietnamese athletes dominated the men’s and women’s 10,000m categories with two golds and two bronzes. Pham Thi Hue took the fourth gold for Vietnam in the women’s class with a time of 35:30.27. Pham Thi Hong Le added a bronze on 37:23.98. SEA Games defending champion Nguyen Van Lai claimed the title, taking 31:25.05. Le Van Thao was third with 32:03.17. The only silver went to Nguyen Thi Truc Mai in the women’s long jump event. Meanwhile, Nguyen Tuan Anh was third in the men’s long jump. Bui Thi Xuan secured a bronze in the women’s javelin event with a throw of 49.53m. The tournament kicked off on June 12 and will last until June 15. Nearly all ASEAN countries send their athletes here as it is a warm-up for the SEA Games in August in Malaysia.